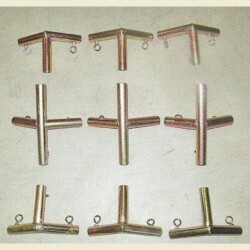 These brackets are NOT NEEDED if buying the Aluminum Tent Frame. These are for building your own frame from 1" EMT steel conduit. These angle brackets are welded steel and designed for the most rugged conditions. Zinc-plated steel angle brackets are built with the perfect angle so you can build your own frame using 1" EMT steel conduit. The zinc-plated steel angle kits are designed for the do-it-yourselfer to build a sturdy internal frame. 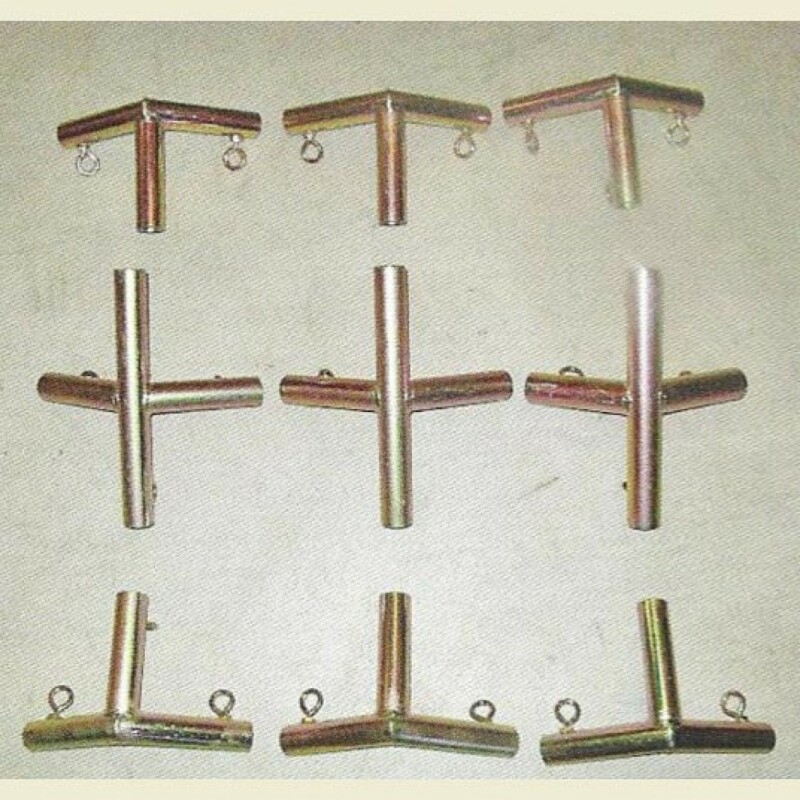 This is a 9 piece set meant for use with the Magnum 10'x12' or 12'x14' Wall Tents. Simply cut your frame sections from 1 inch, steel EMT conduit which is available at most local hardware stores. You should be able to find it in your area for roughly $7 ~ $9 per 10 foot section. Each angle bracket comes with set screws to tighten onto the cut conduit sections for a secure and adjustable fit. These angles are welded steel and designed for the most rugged conditions. 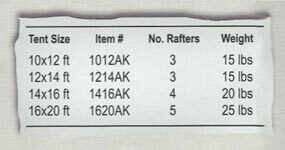 (1) 10' x 12' or 12'x14' Magnum Bracket Kit - 9 Brackets - does NOT include tent.